Several factors within a building may require a 2nd exit from a space. The two most common triggers are occupancy quantities (ex. exceeding 49 occupants in an office space) or exceeding the allowable travel distance. 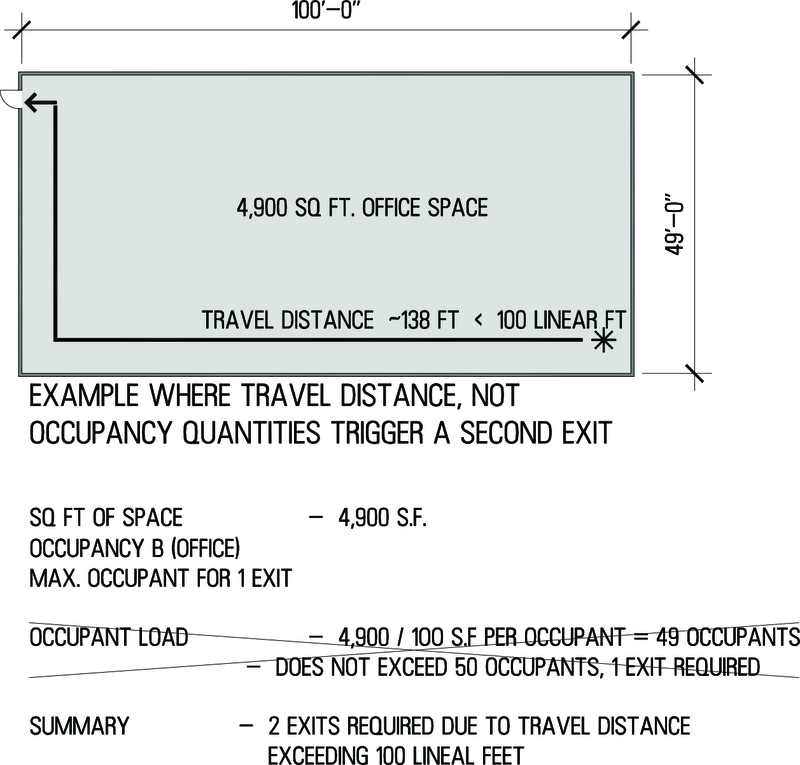 Below is an example of a scenario where occupancy calculation ( quantity of occupants) didn’t trigger a second exit. Travel distance triggered a second exit. Storage spaces, Warehouses, manufacturing, Agricultural building etc. 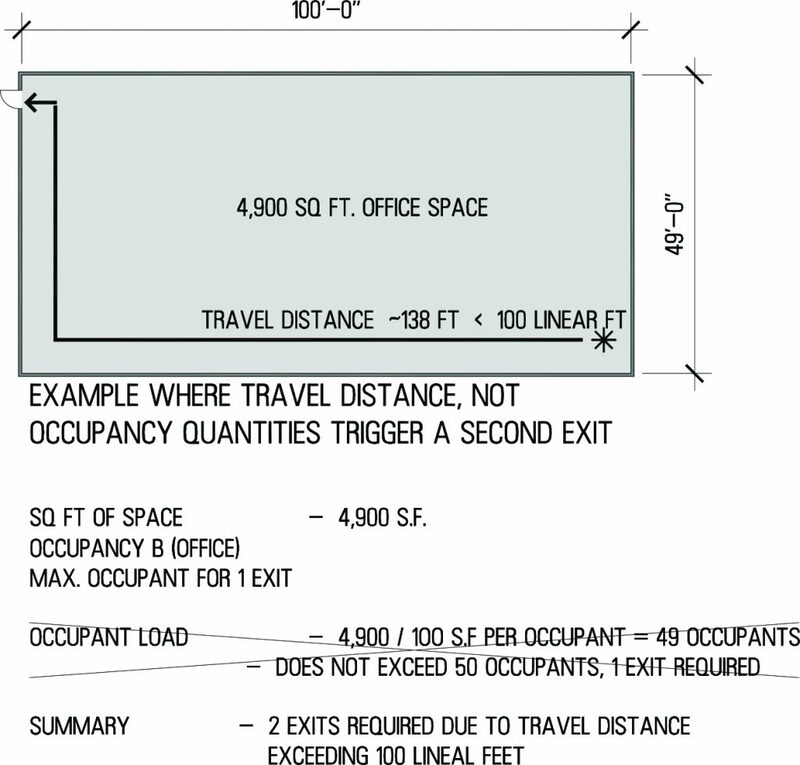 which are low in occupancy quantities will require a 2nd exit if travel distance allowable is exceeded. The Common Path of Travel is the distance an occupant must travel to exit a building. In some scenarios, occupancy calculations dictate that a 2nd exit is required. Where occupancy quantities are low and the Common Path of Travel exceeds the distance allowable, a second exit is required. Follow the examples above for reference but as always, refer to the local jurisdiction and a local professional to ensure your projects success.